From the 2nd – 9th of March, the world will see one of the wildest carnivals to be held. With over two million people arriving to party on the streets during the Rio Carnival, this is one event you don’t want to miss out on. So here’s our guide to the world’s grandest parade with our stock images. The origins of this Brazilian celebration can be traced back to the 1640s. These festivities were held to pay homage towards Greek wine gods, as the Romans decided to mark the occasion with a boozy fest. Soon after, this carnival was set to begin just before Ash Wednesday; a date set by Roman Catholic Church. The Portuguese then brought this Entrudo party to the shores of Brazil, with the first set of celebration taking place in 1840. However, the Africans then put their own spin on this, with the introduction of Samba. The rest as they say, is history. Residents soon started to be a part of the Rio Carnival, as people took to the streets to dance, sing and party all day long. The vibe then attracted talented musicians to join the fun. Hence, causing different neighborhoods in Rio to form their own mini street parades. 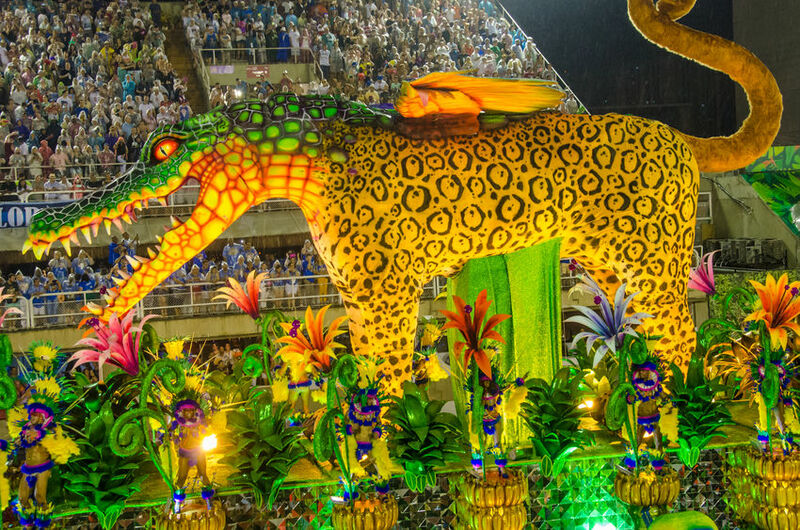 The carnival’s growing popularity then gave the birth to the samba schools. These institutions comprised of talents from close neighborhoods, often sharing a common identity, thanks to their proximity. In a bid to stand out from the crowd, these samba schools developed their own identity, often reflected in their parade performances. 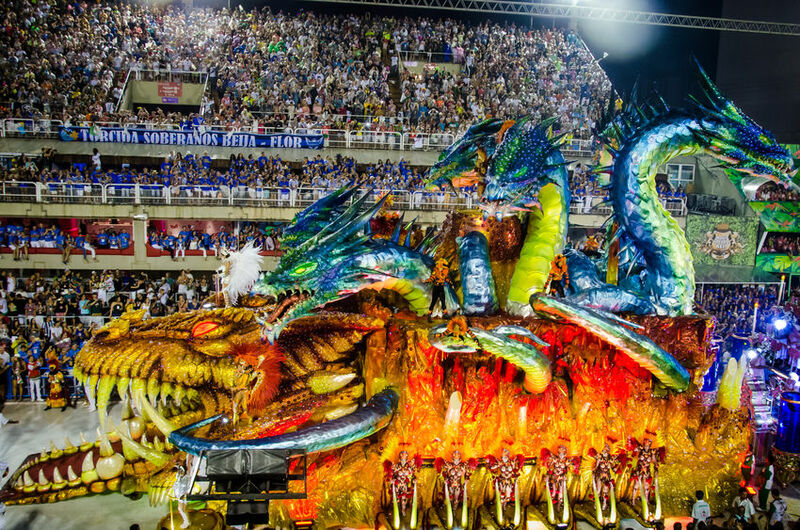 The Rio Carnival soon skyrocketed into a competing arena for Brazil’s samba schools. Street parades became bigger and people from all over the world began flooding the streets. Therefore, an idea was born to have everything under one massive roof. In 1984, that dream was brought to reality, as the Sambadrome was built to accommodate the world’s most popular carnival. So if you’re planning to check out this occasion, be sure to book your tickets now! Meanwhile, for our fellow content creators, check out our dedicated likebox to fuel your Rio Carnival content resource. Additionally, read up on our 2019 travel feature to keep up with the year’s hottest trends.